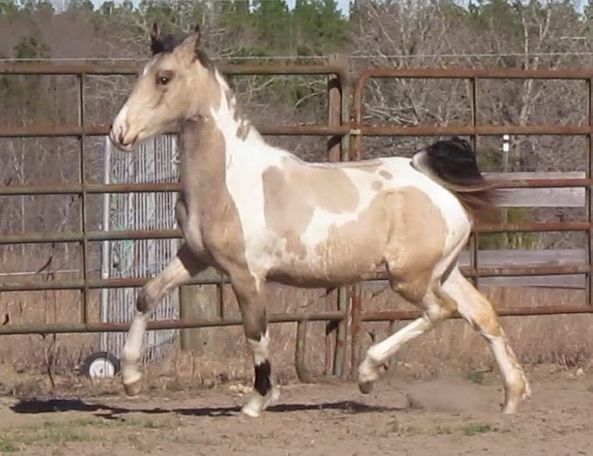 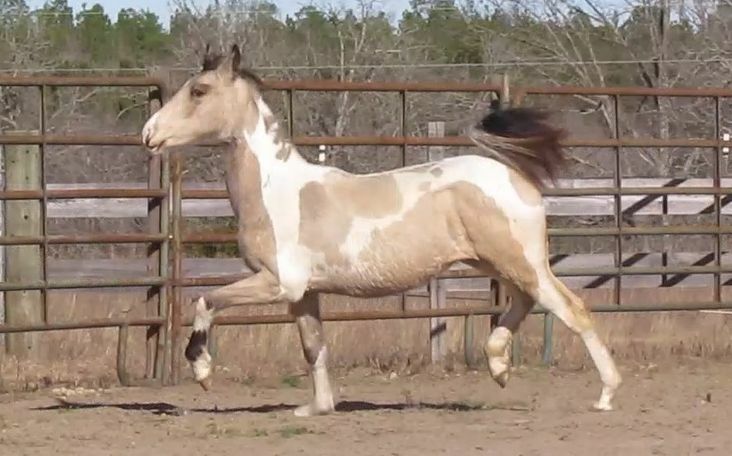 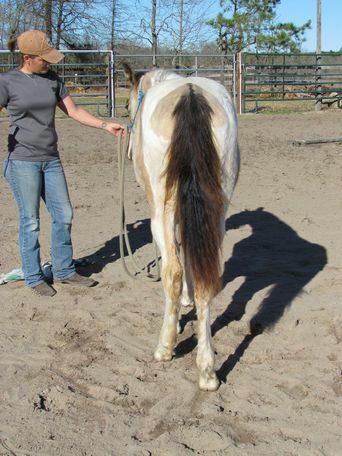 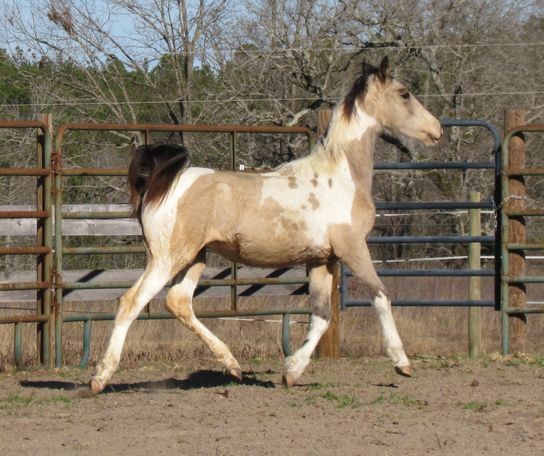 Gorgeous color, beautiful movement, well bred, stallion and show prospect! 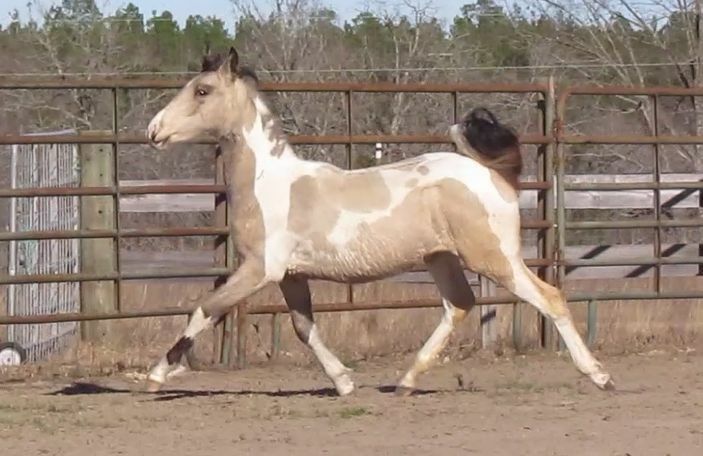 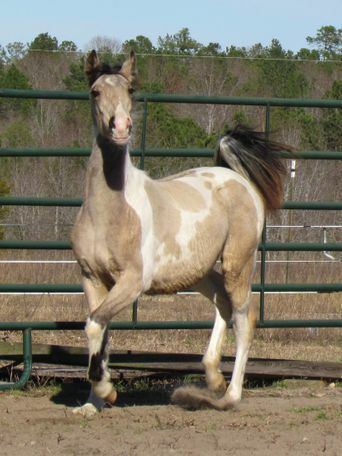 This yearling saddlebred colt is wonderful! 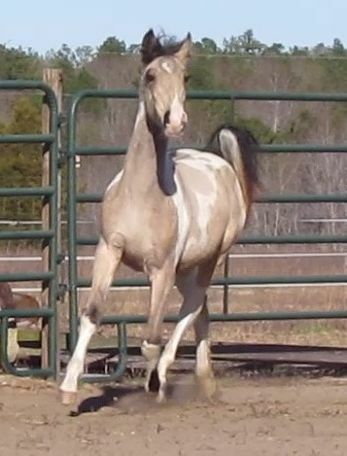 Refinement combined with substance! 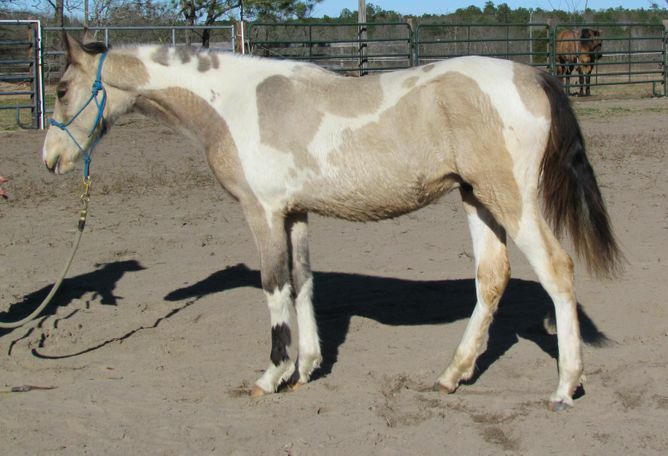 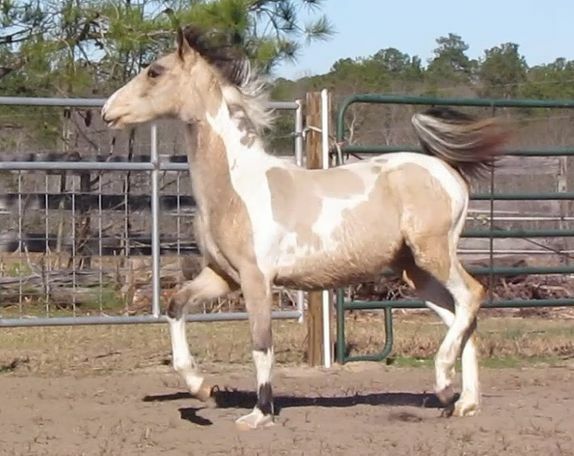 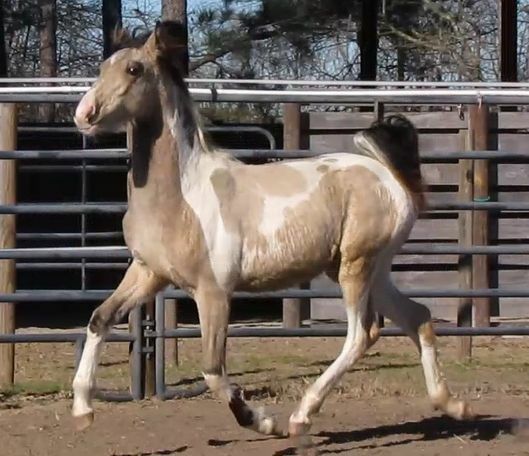 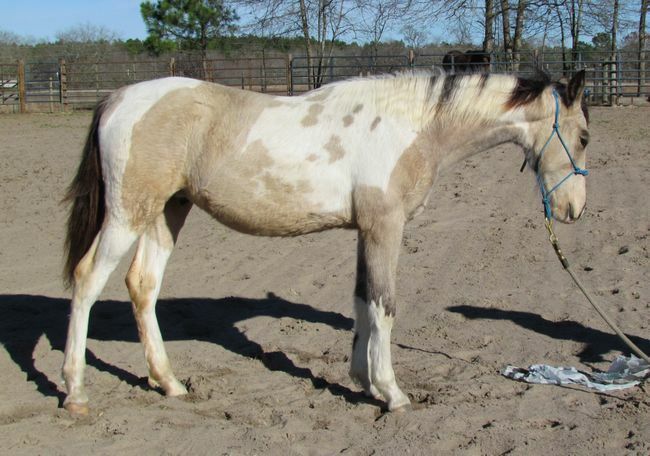 Unusual coloration, color tested homozygous for tobiano pinto AND black (so he will always produce a pinto foal and will never produce a red based foal), well bred, fluid mover, eye catching and a fantastic personality to top it all off!!! 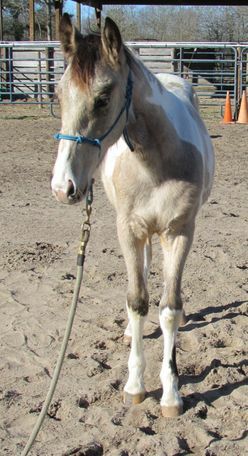 Both of his parents are Pinto World Champions. 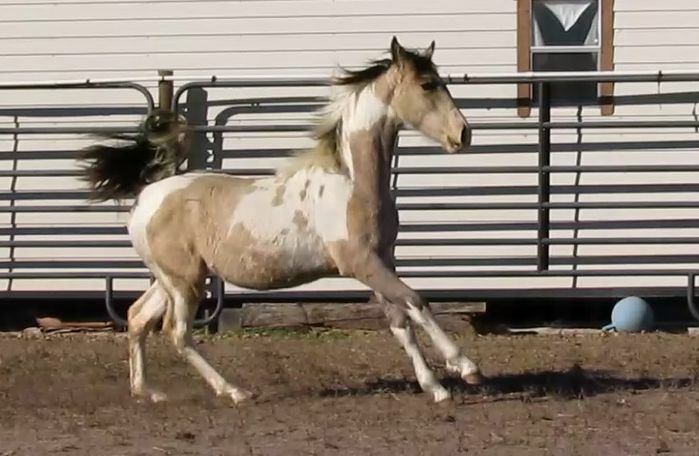 His full brother is an 8x Pinto World Champion at only 5 years old! 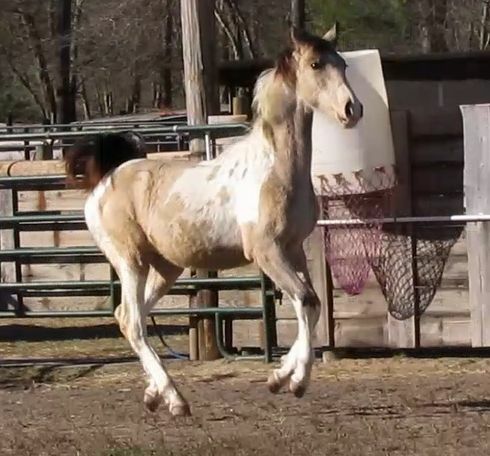 I fully believe this boy will excel in whatever discipline his new owner decides to take him in, however he is a natural sport horse/dressage/show hack type of mover. 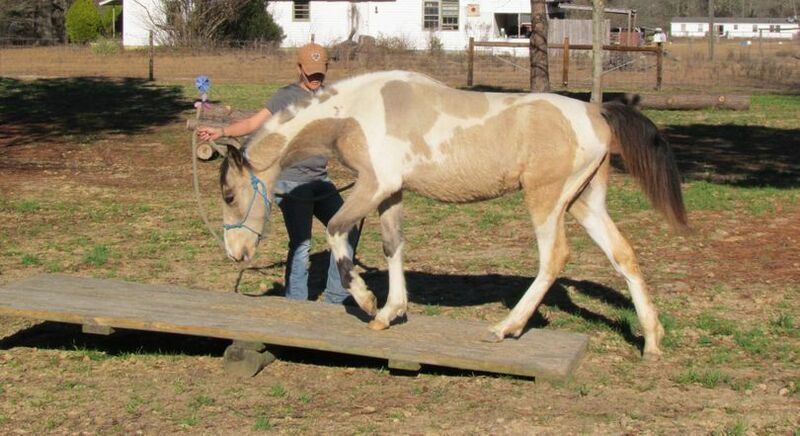 He should mature about 15.2hh. 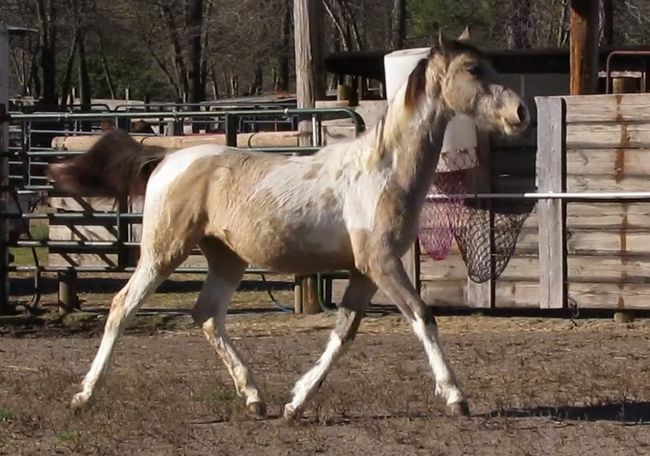 Photos and video taken at 9 1/2 months old, in Jan 2019.